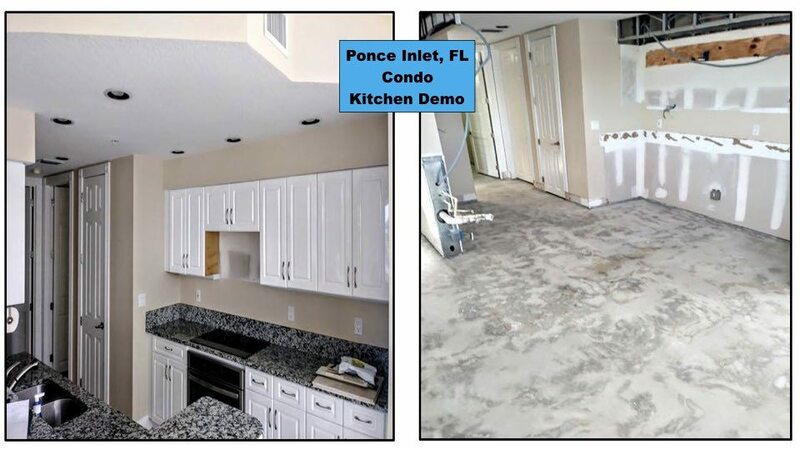 Before and After kitchen tile removal in a Ponce Inlet home. 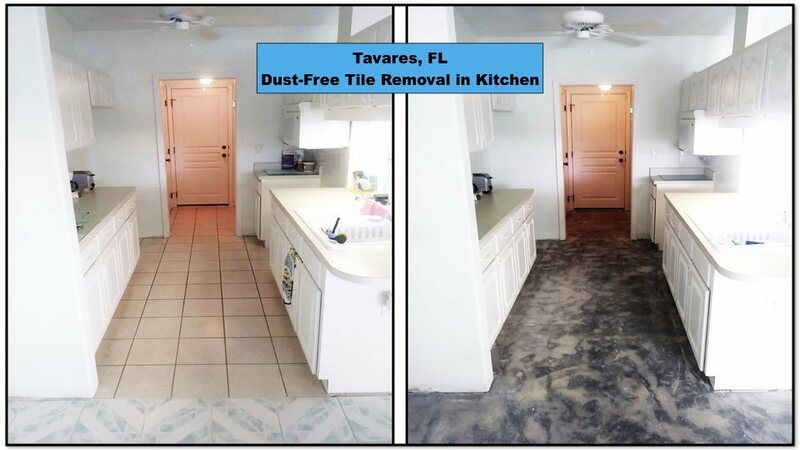 A kitchen in Tavares got tile removed to get a beautiful new look. 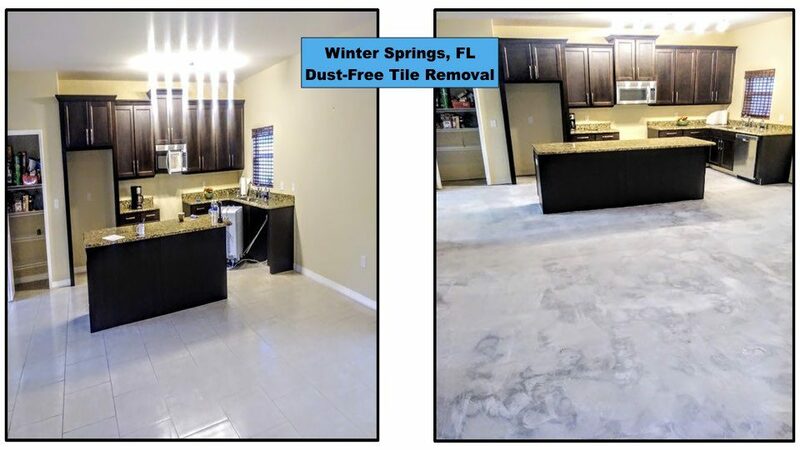 Dust-free tile removal in a Winter Springs home. 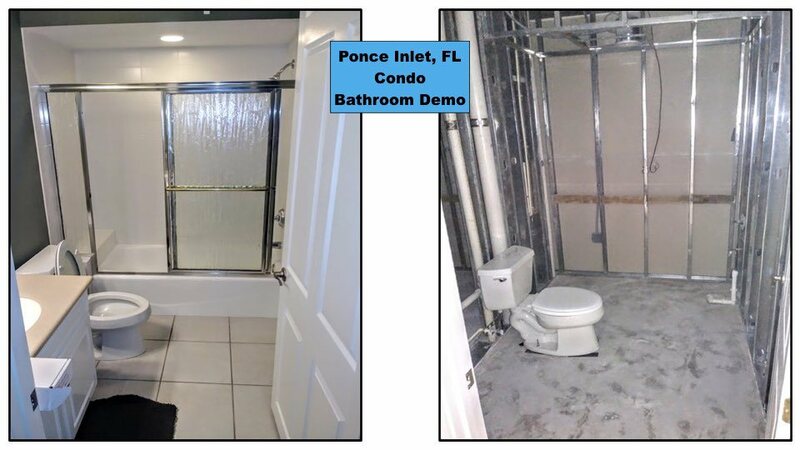 Before and After tile removal in a Ponce Inlet condo bathroom. 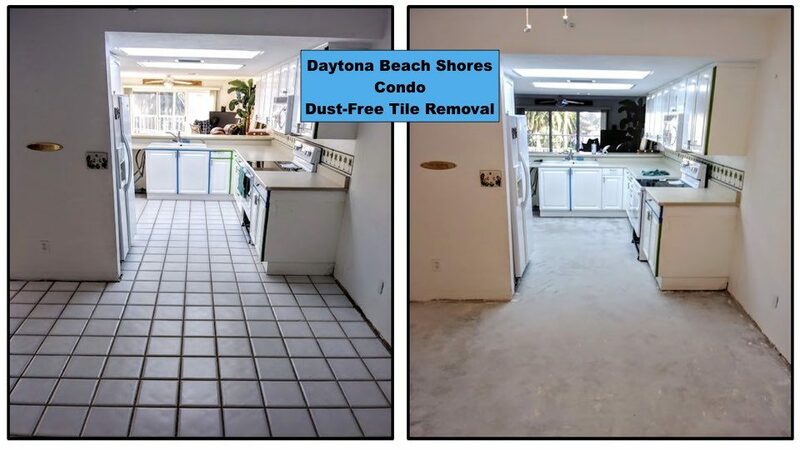 Tile removal in a Daytona Beach condo to get a fresh new look. 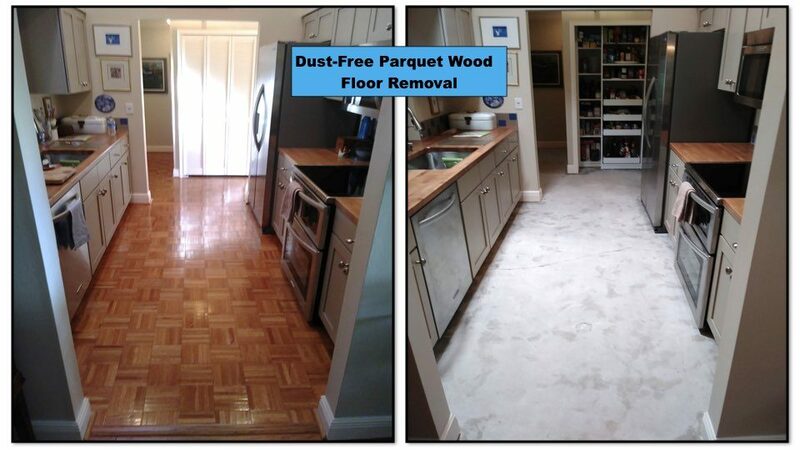 Before and after a parquet wood removal. 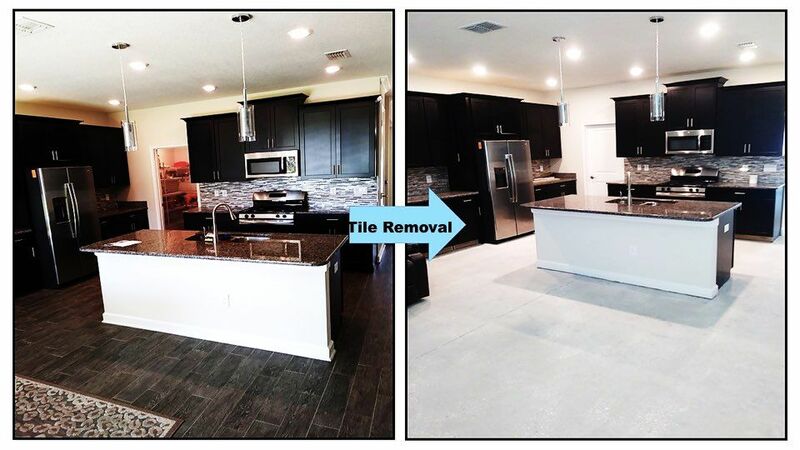 Before and after kitchen tile removal in Mt. 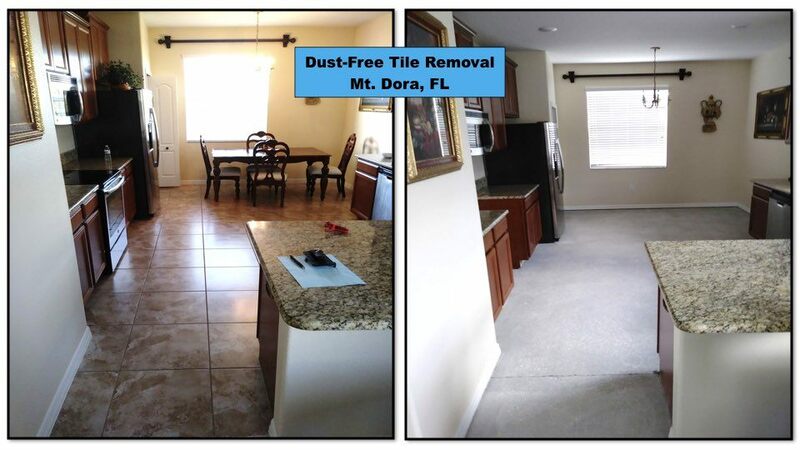 Dora. 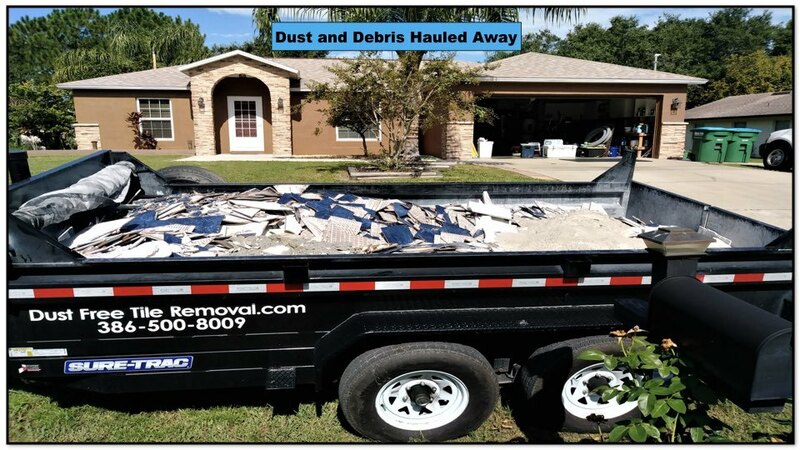 Dust and debris hauled away in preparation for a beautiful new look. 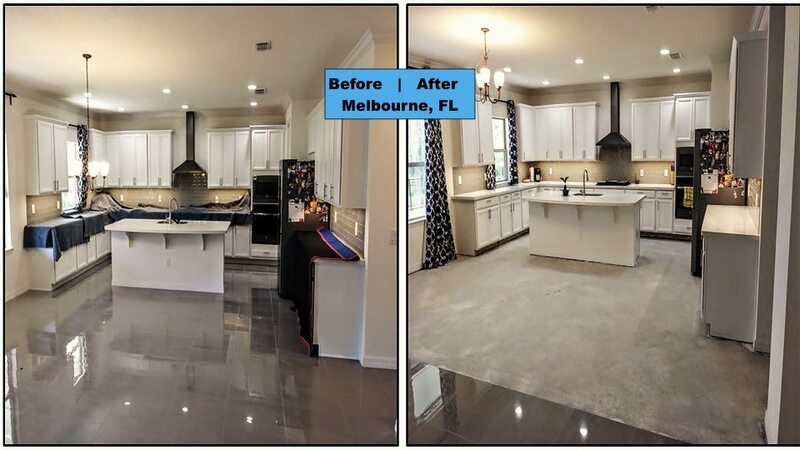 We removed this home's kitchen and living room flooring in preparation for a beautiful new look. 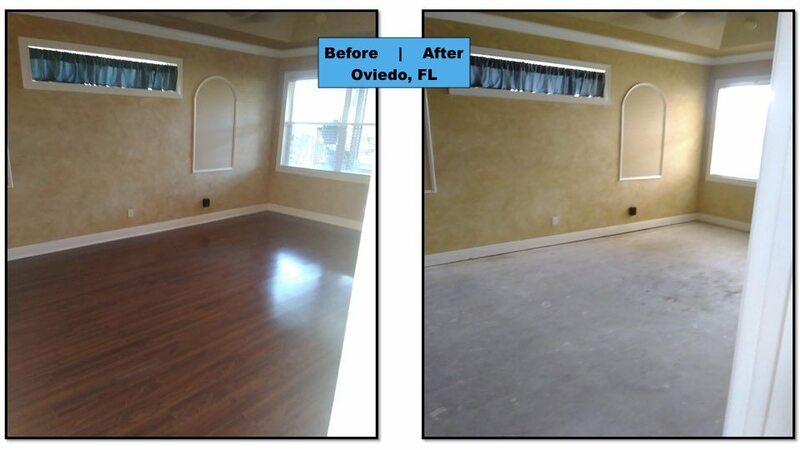 Before and after of our foyer floor removal in an Orlando Florida home. 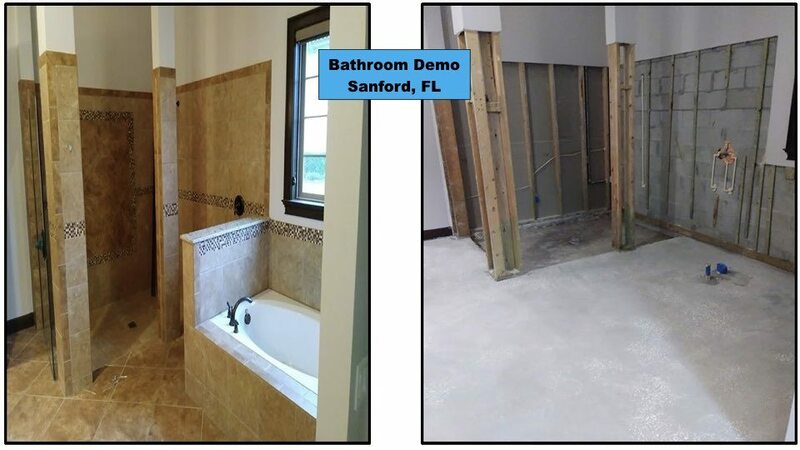 We prepare the bathroom for a beautiful remodel in this Sanford Florida home. 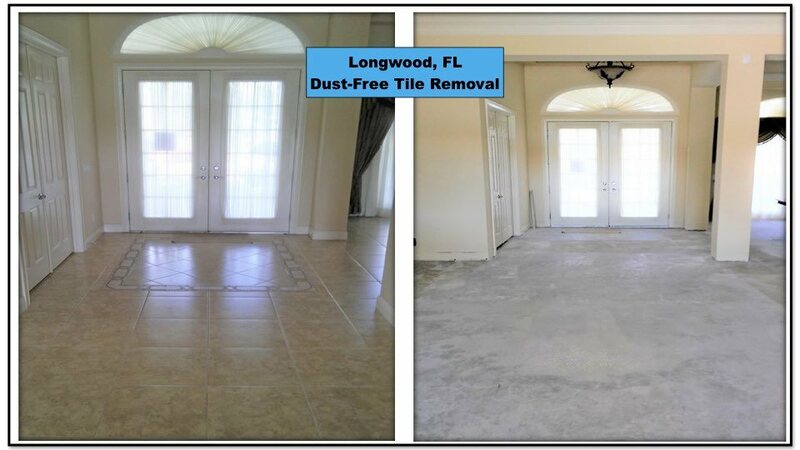 The old tile in this home office in Palm Coast Florida is removed in preparation for a new look. 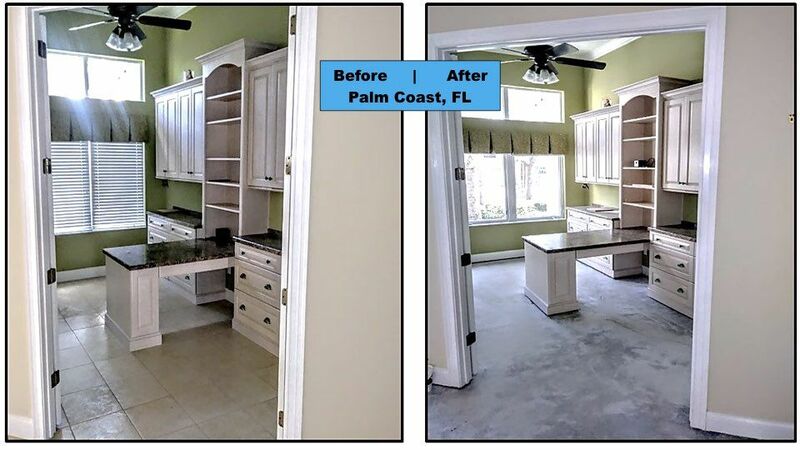 The kitchen in a Melbourne Florida home gets a floor demo in preparation for a new look. 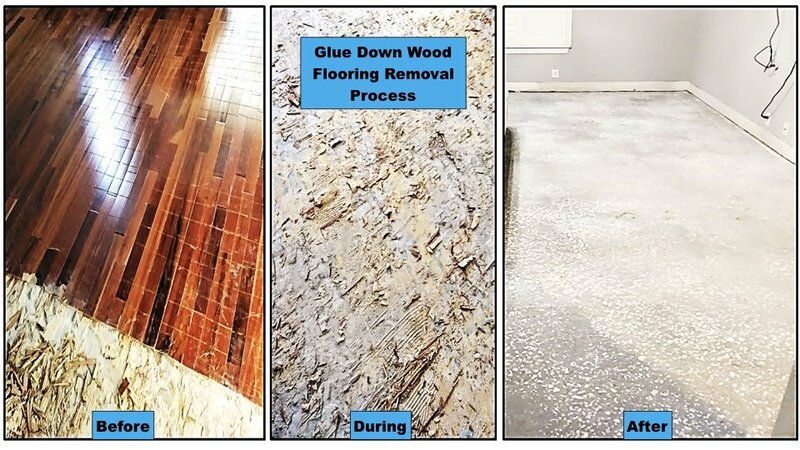 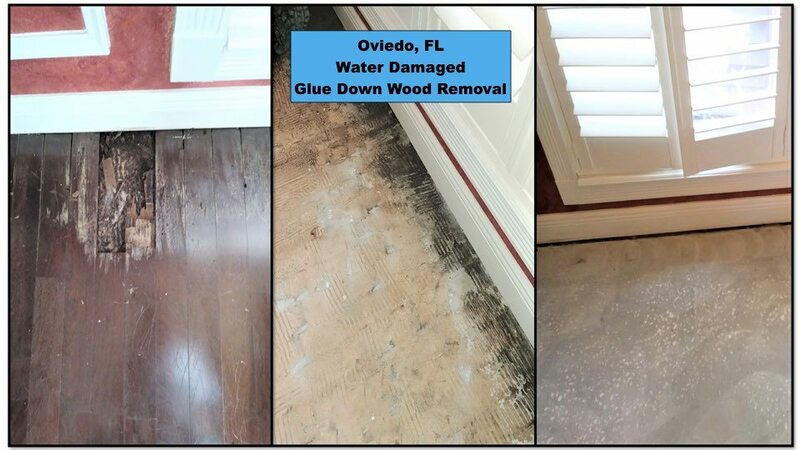 We remove a badly worn, glued-down wood floor to prepare this room for a great new look. 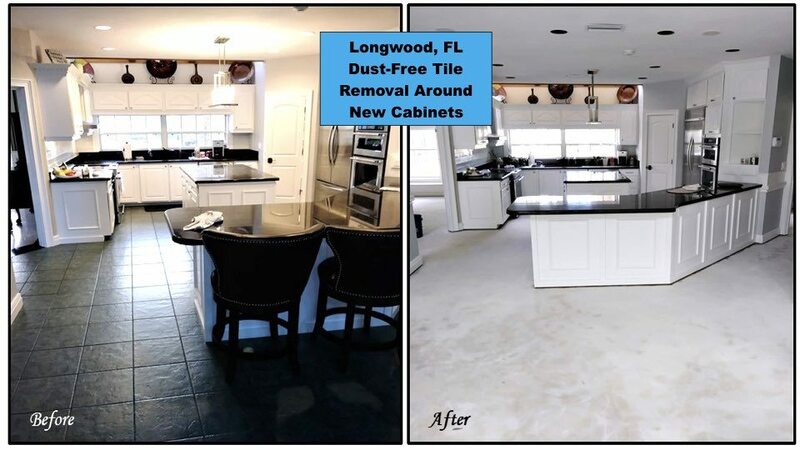 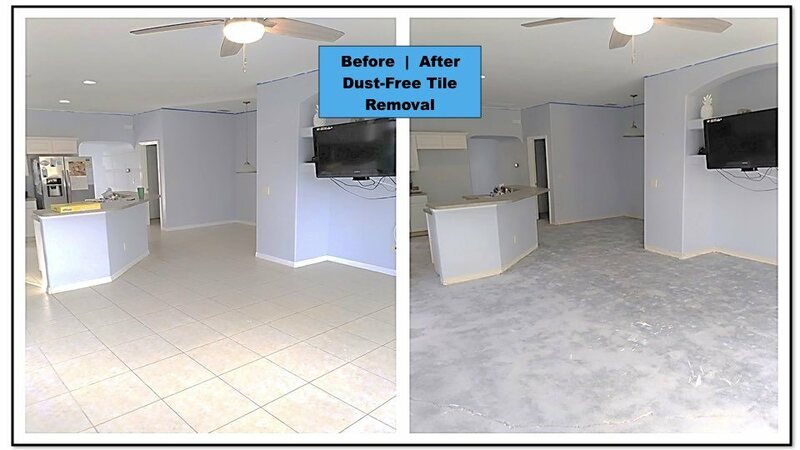 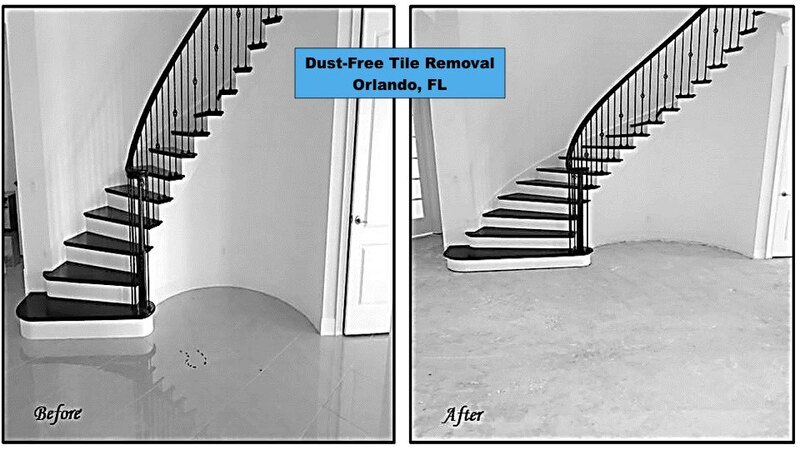 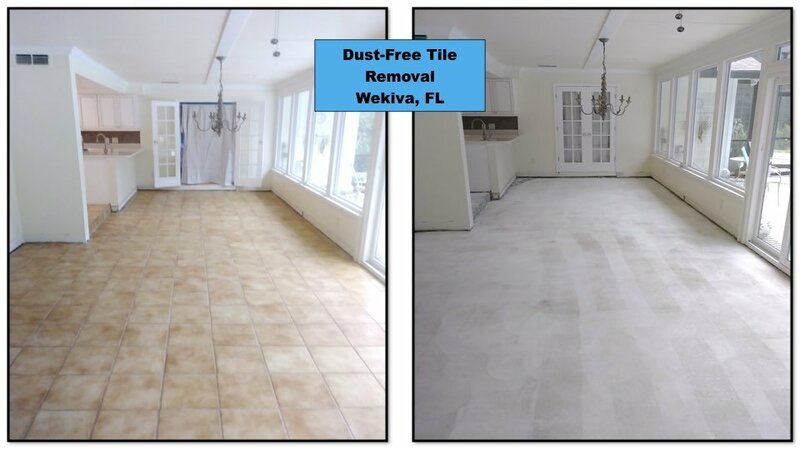 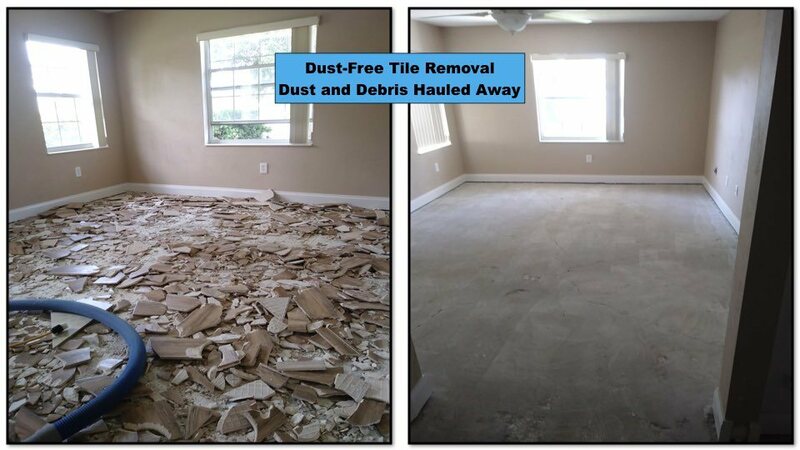 Central Florida Dust-Free Tile Removal removes the old flooring in this Winter Park Florida home. 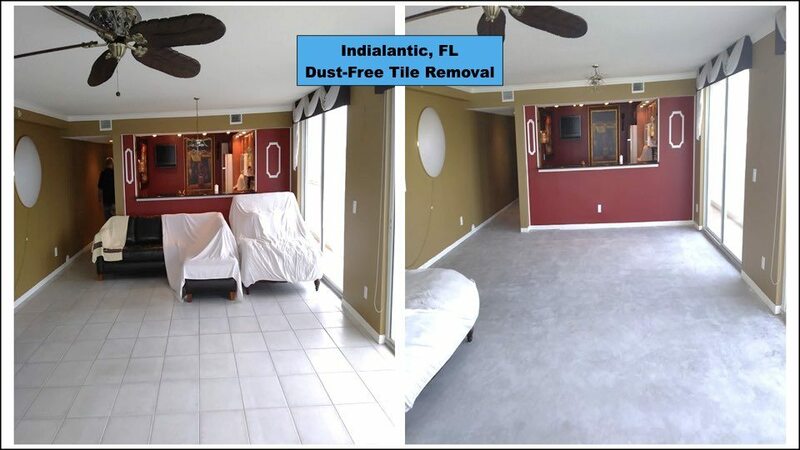 We prepared this room for an updated appearance. 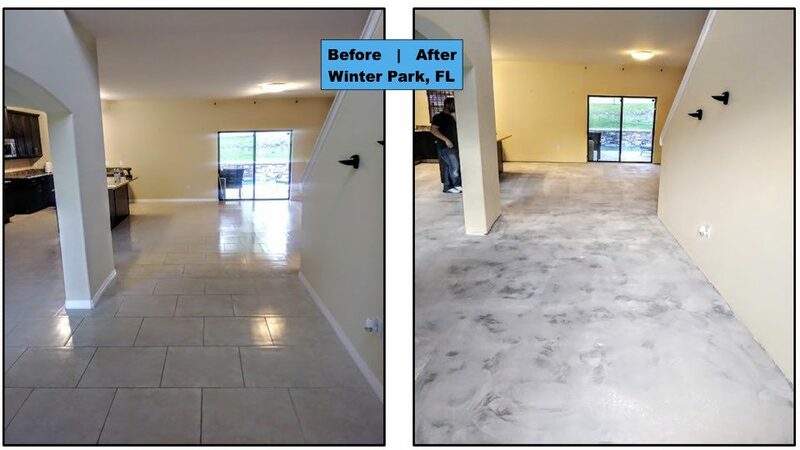 The concrete slab is smooth, clean and ready for the installation of new flooring. 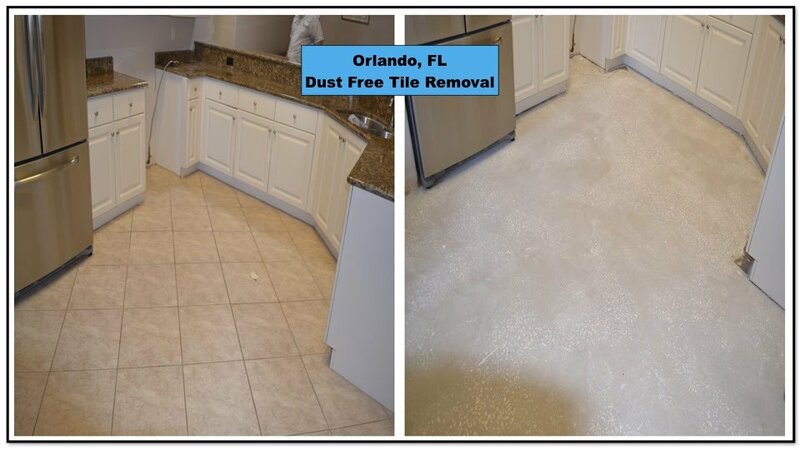 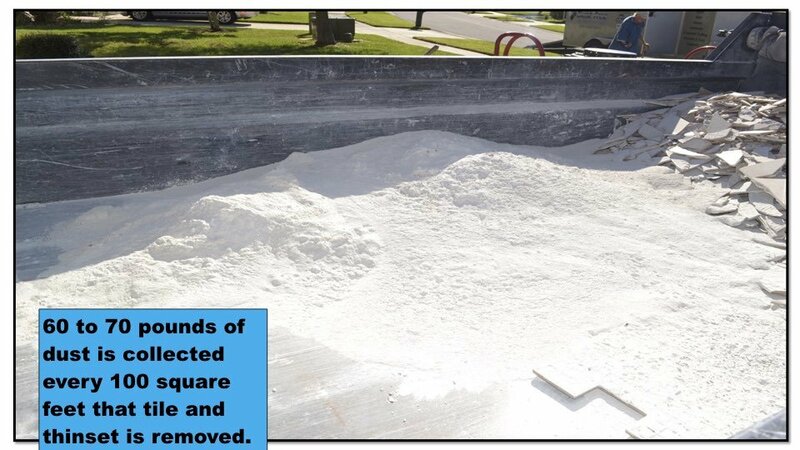 Sixty to seventy pounds of dust is collected every 100 square feet that tile and thinset is removed. 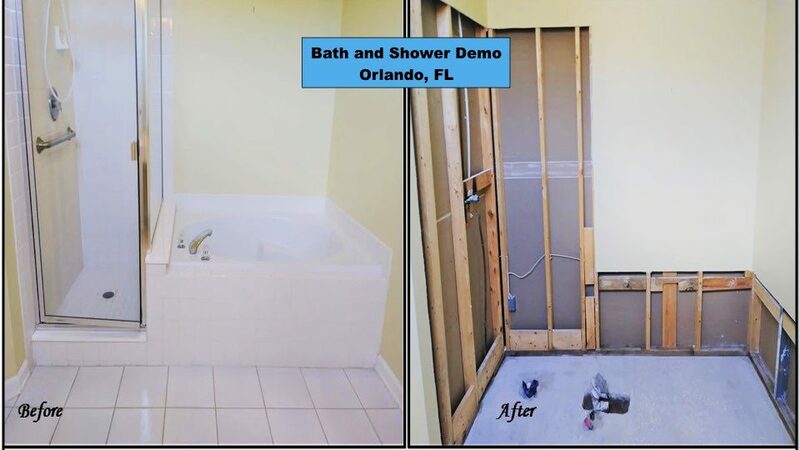 Website built & internet marketing managed by Neal Scott Marketing.